Smart thermostats can help you save money on heating and cooling and make it more convenient to run your home. But these devices—like so many in the internet of things—don’t come cheap. The category-creating Nest Learning Thermostat, which debuted in 2011, still hovers around $250 (though you can find it for less). Affordability is improving, though. Now Nest’s chief competitors, Ecobee and Honeywell, offer smart thermostats for less than $200, and Nest itself recently introduced a lower-priced model called the Thermostat E, $170. Here you’ll find four models for less than $200 from CR’s ratings of smart thermostats. 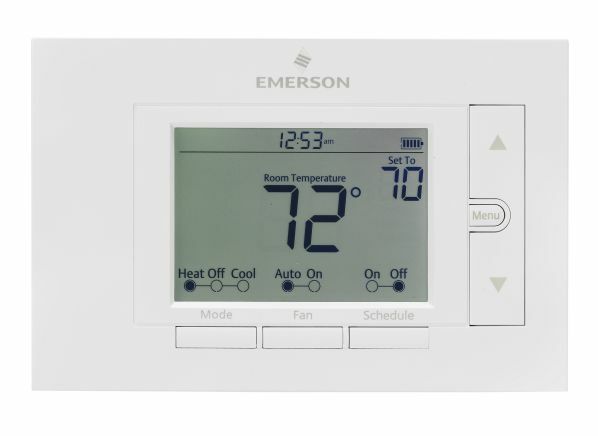 We’ve included the Ecobee, Honeywell, and Nest mentioned above as well as another affordable option from Emerson. They aren’t the very best performers in our tests, but they’re capable devices and should more than pay for themselves in utility-bill savings. “Today’s thermostats do a very good job of turning on the appliance when the room temperature comes within a degree or two of the thermostat setting,” Anzalone says. So instead of testing for temperature accuracy, our labs focus on usability. That includes testing ease of manual control (with the same standards we use for nonconnected programmable thermostats) and three criteria specific to smart thermostats: smart-home features, automation of heating and cooling, and wireless setup. Our evaluation of smart home features examines such elements as alerts, app control, and geofencing (which tells the thermostat when you’re coming and going). These individual features factor into a thermostat’s Smart IQ score, which allows you to see just how “smart” one thermostat is compared with another. For automation, we check to see whether smart thermostats learn your habits and routines to adjust temperatures for you. Last, we test wireless setup, which includes connecting the thermostats to WiFi and setting up the corresponding smartphone apps. We also set up voice control with Amazon Alexa, Google Assistant, and Apple’s Siri if integrations with these virtual assistants are available. Findings from all these tests are folded into a model’s Overall Score—a straightforward, at-a-glance view of our comprehensive test results. Here are the four best smart thermostats that cost less than $200, listed in alphabetical order. All of them offer app controls, programmable scheduling (where you set a weekly schedule of temperature changes), and voice control via a third-party digital assistant, such as Amazon Alexa, Apple Siri, or Google Assistant. 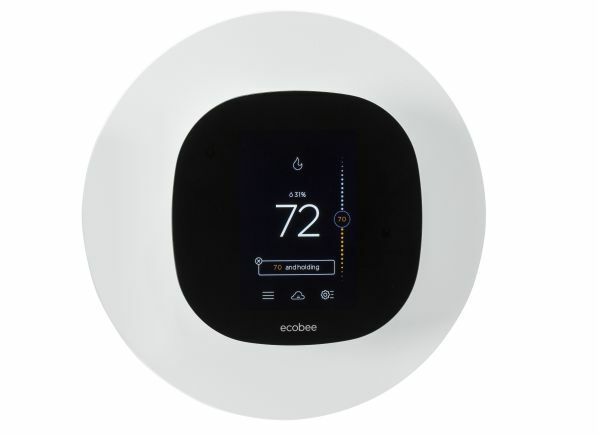 The Ecobee brand has often been eclipsed by Nest, but Ecobee beat Nest to market with its affordable smart thermostat, the Ecobee Lite EB-STATe3L-01. This model offers a home/away setting (just like Nest) and vacation scheduling to lower heating and cooling costs while you’re away from home. The lack of a remote sensor keeps the price of the Ecobee Lite EB-STATe3L-01 down. You can buy remote sensors separately in a two-pack, $79. This smart thermostat is unique in that it’s the only one on the market that doesn’t always require a C-wire, or common wire, to power the thermostat. Instead, the Emerson Sensi UP500W gets power from AA batteries. (Emerson says that some systems still require a C-wire.) Always check your thermostat wiring before you buy a smart model because the C-wire isn’t commonly found on older heating and cooling systems. At first glance, you probably wouldn’t think the Sensi is a smart model; it lacks a touch screen and looks like a standard thermostat. But it has all the common features we mentioned above, as well as geofencing (the ability to base temperature changes on whether your phone is home). Honeywell invented the precursor to the thermostat in 1886—and these days offers two smart thermostats. The Lyric T5 is the more affordable model. It’s not as stylish as the flagship Lyric Round, but the T5 offers lots of utility, with a touch screen, vacation scheduling, and geofencing. It also has a hold function that lets you override scheduling, a welcome feature that you won’t find on all smart thermostats. Nest’s lower-cost thermostat trades the metal-and-glass body of the pricier model for one made of white and translucent plastic. Like its more expensive sibling (the Nest Learning Thermostat), the Nest E is highly automated, learning your routine and building a schedule through its sensors and geofencing. 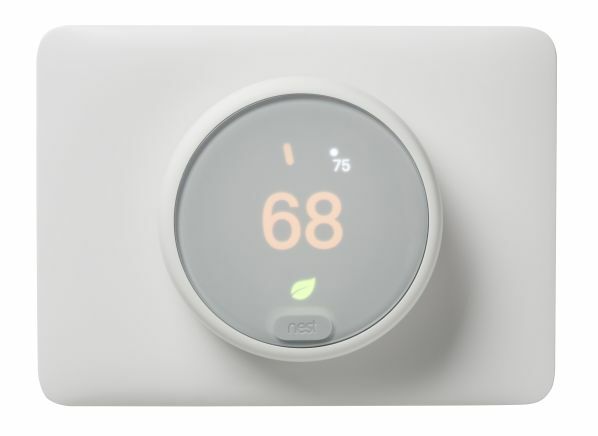 The only downside is that the Nest E doesn’t support as many HVAC-system wiring configurations as the Learning Thermostat (now in its third generation). That just means you’ll want to make sure the Nest E works with your HVAC system before you buy it. 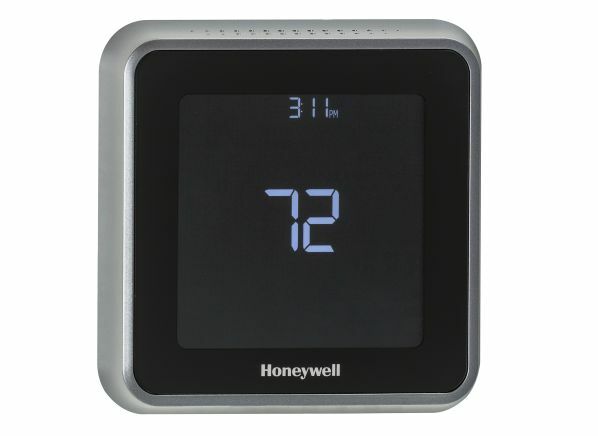 Check our smart thermostat buying guide and ratings for more information and to see more models.